On-loan Wolves defender Ethan Ebanks-Landell netted a brace whilst Mark Duffy and substitute Stefan Scougall all scored in the demolition of Port Vale. Matt Done will walk away perhaps feeling the most unluckiest striker in the World having seen two chalked off, and Billy Sharp was also unfortunate to be ruled out by an offside flag. Blades chief Wilder named the same starting XI which had drawn 1-1 at Fleetwood Town a fortnight previous, making just one change in the substitutions with Lavery returning from injury. Whilst the result suggests that the game was one sided, and for the majority of the game it pretty much was, Vale did look threatening on the attack. The Early exchanges saw both sides forge assaults in one-another's goal, Duffy's in swinging free-kick was well connected by O'Connell but the defender could steer the ball goal wards, and after Coutts mazy run his final shot was weak and nothing more than a back pass after finding sight of goal. At the other end, Foley shot wide for the visitors whilst United were indebted to Freeman who charged back 50 yards back to his own penalty box, making a last ditch challenge to prevent Grant firing at goal and as a result, conceded a corner. The corner marked a significant point in the match, for vale it came to nothing but United broke with vengeance as both Fleck and Duffy combined and as the ball came into the box, Done was offside when he headed home. It wouldn't be too long until United grabbed the lead. United have been guilty in the last few years of being unable to defend or attack corners but in this instance, from Fleck's delivery EBANKS-LANDELL lost his marker, Alnwick got an hand to his downwards header but couldn't prevent it ruffling the net. The goal sparked a spell of dominance for United, Duffy cut in and fired wide before, on 33 minutes, another goal was disallowed. Fleck twisted and turned in the box. His overall finish flew past keeper Alnwick and in the midst of celebration, complaints from Vale defence saw referee Mark Heywood consult his assistant only to overrule his initial decision of a goal, claiming the ball came off an offside Sharp in the process. Moments later Fleck came close again, his 30 yard effort was dramatically pushed round the post by the keeper, but before the half-time whistle sounded there would time for another goal, and from another corner. The delivery this time was from Coutts, EBANKS-LANDELL saw his header saved, vale wasted a number of chances to clear but the recycled ball fell to the defender for him to hook home from close range. A third disallowed goal was added before half-time, but Done saw again offside when he turned home Duffy's cross from the right. Had all goals stood United would have gone in at the break 5-0 up! After the break, Paterson saw his shot deflect wide for the visitors in front of their travelling support. The number of fans who did make the journey from Staffordshire would soon be making way for the exits when United added a third just after the hour mark. A break away saw United attack the Vale goal outnumbering with four attackers to just two defenders. Fleck, having won possession just outside his own area skilfully carried the ball 50 yards, his ball through to an unmarked Sharp, whose effort was blocked by Ben Purkiss on the line, formerly of the United Academy, but DUFFY controlled before smashing home the rebound. Shortly afterwards a fourth disallowed goal was added to the tally. This time it was Sharp who was the offender when he slid in at the far post after O'Connell nodded across goal. On 77 minutes Moore was forced into a save. Until this point he had, had a pretty easy game with very little to do, but Jones effort looked unstoppable but the keeper somehow kept the clean sheet intact. Four minutes later Scougall replaced Done and within two minutes he had found himself on the score-sheet. Hussey and Chapman, who had early been brought onto the field replacing Lafferty and Duffy combined, a ball into the box saw Sharp leap and the ball fell kindly to SCOUGALL with the pint-sized midfielder nodding home at the far post. United weren't done at 4-0, though they weren't able to add a fifth before full-time. Chapman had a go though and was only prevented by Alnwick's smart save. Four minutes of injury time was added with Vale's misery completed at the sound of the referee's final whistle. 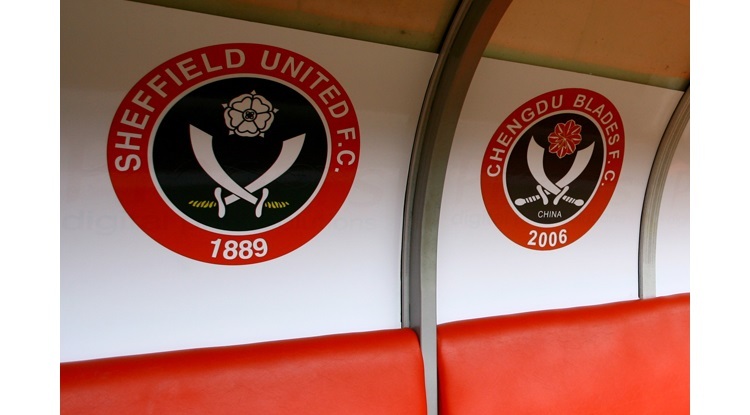 Sheffield United: Moore, Fleck, O'Connell, Sharp. Done (Scougall 81), Wright, Coutts, Freeman, Ebanks-Landell, Duffy (Chapman 72), Lafferty (Hussey 69). Unused: Lavery, Ramsdale, Brown, Whiteman. Port Vale: Alnwick, Purkiss, Streete, Knops, Foley (Kiko 81), Paterson (Turner 67), Smith, Jones, Amoros (Pereira 59), Grant, Hart. Unused: Mac-Intosch, Ciclia, Mbamba, Turner, Santos.